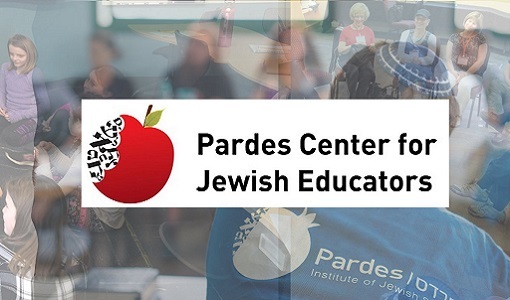 A couple of years ago, sitting in the Pardes dining room one afternoon, I had a casual conversation with Zvi Hirschfield about my upcoming “Yozma” capstone project for my program, the Pardes Experiential Educators Program. My project consisted of a series of professional development workshops for Jewish youth professionals in Pittsburgh, my “home” city. As a youth professional myself, I felt strongly that the youth professional community currently lacked a system for educational support, collaborative goal-setting, and networking; and I wanted to begin to sketch out workshops that would include mentorship, hearing from experts, and team-building exercises. I imagined a “curriculum” that would support youth professionals whose only supervision, sometimes, was from regional staff located far away and/or from administrators without educational backgrounds; and one tailored to our local community that focused on building meaningful relationships between professionals (to prevent competition, frustration and burnout). I mentioned to Zvi that the first session would possibly build this community by focusing on our shared goals – highlighting what we all have in common, despite obvious differences across denominations and program styles. Though specific to my Yozma project at the time, the advice Zvi shared with me that day now firmly grounds my own experiential educational philosophy in my work in the field with Jewish teens. 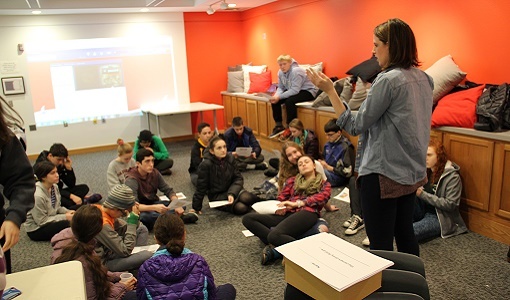 Part of my work at the Jewish Community Center of Greater Pittsburgh involves convening a group of Jewish teen youth group leaders from around the city called the Teen Leadership Council, which we launched last year as a spin-off of the Youth Professional Network of Jewish Youth Professionals. This council serves a similar purpose, but allows teen leaders to engage peer-to-peer, as well as with the youth professionals. When we convene, teens educate each other on their programs, learn new skills together, and identify opportunities for collaboration. But perhaps the most important outcome of all is the strengthening of their relationships with each other – by owning their unique identities instead of ignoring their differences. In J Line, our community-wide teen learning program, the same philosophy applies. With diverse backgrounds in the room, what choice do we have but to challenge (learn from) each other in order to create meaningful community? If I hadn’t been sitting smack in the middle of an immersive, pluralist environment that day, I’m not sure Zvi’s words would have resonated with my work at large so loudly. But they did, and as I continue to find myself in a pluralistic setting, I encourage both adults and teens to talk to each other about their differing viewpoints, not just reinforce or discuss commonalities; to protect and respect diversity; and to keep an open mind. Pluralism is often described tongue-in-cheek as “when everyone is equally unhappy,” but instead, I like to think of it as a strong havruta. (We can’t agree on everything, and in fact, we shouldn’t!) The students of the Teen Leadership Council, our J Line classes, or other JCC teen programs do have shared goals and a spectrum of beliefs and values to which they adhere – as does their adult support network. But to create a vibrant and productive community, and to preserve the authenticity of our experience together, we must all learn from each other. That’s the pluralist tradition that I know. Carolyn Gerecht graduated from the Pardes Experiential Educators Program in 2014. She is the Director of Teen Learning at the Jewish Community Center for Greater Pittsburgh.